FloorProcessor HD500X delivers immense flexibility for your stage or studio set-up. Pro-grade footswitches feature bright red LED rings that are clearly visible from anywhere on stage. Assign multiple amp and effects parameters to the expression pedal and morph between sounds. Plus, the footswitches control the built-in 48-second looper, an instrument unto itself. With rugged construction and a bent-metal chassis, POD HD500X is ideal for any stage. Use your POD HD500X as a MIDI controller, an audio interface for recording guitar, and the centerpiece of your live rig. Features HD amp models, over 100 studio and stomp effects and L6 LINK and Variax connectivity. 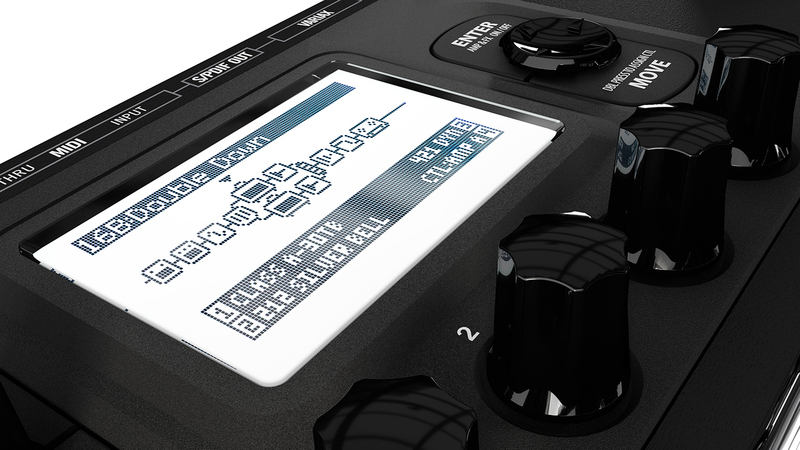 Rack Pod HD Pro X delivers incredible HD guitar tones for your rack. Use it as an audio interface for the studio, stage and anywhere in between. Plug in a mic to track vocals or acoustic instruments. Record your HD tones directly into any DAW via USB. Just add a Line 6 FBV foot controller for complete control over your presets, parameters and more. Features world-class HD amps, over 100 studio and stomp effects and L6 LINK and Variax connectivity. Featuring extraordinary depth, character and versatility, POD® HD500X and Pro X are best-in-class multi effects for guitarists who want to take deep control over every aspect of their tone. Tweak amp and effects parameters and develop truly original tones. Use your POD HD500X or Pro X as a MIDI controller, an audio interface for recording guitar, and the centrepiece of your live rig. With award-winning technology and all the power you need to define your sound, POD HD500X and Pro X are the most advanced POD multi-effects—ever. Stunning sound quality. Amazing detail.